From a very young age, I’ve always been a skincare fanatic. Whilst most of my fellow teens were obsessed with lip-gloss or nail polish, I was always about the facewash and moisturiser. Fast forward to today and though quite a bit has changed (I most definitely now own more makeup than my ex-classmates, but then testing products is my job!) I am still first and foremost focused on taking care of the skin. Though products and routines keep becoming more and more sophisticated, the initial and most crucial step in any skin regimen for a healthy, glowing complexion is cleansing. I’ve been an early adopter of double-cleansing (where you take off makeup with a dedicated remover and then cleanse with a face wash). 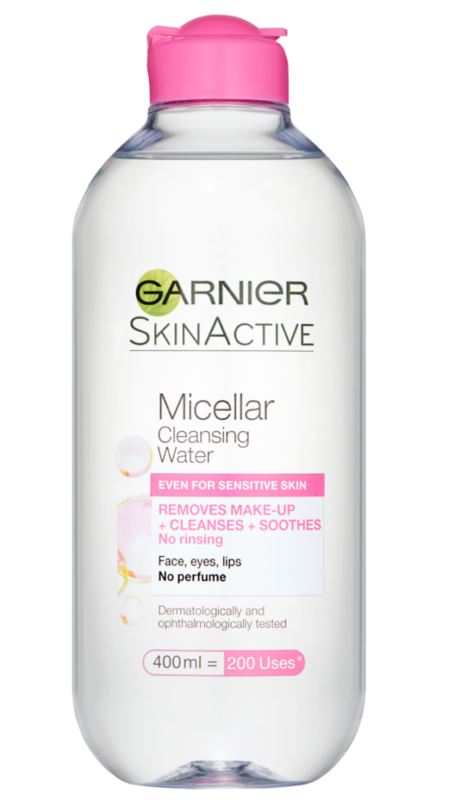 There’s a whole army of products on offer to perform cleansing functions and my preferred method for makeup removal are micellar waters. I first encountered micellar water years ago, not on a skincare shelf in a department store, but backstage during Paris Fashion Week in makeup artists kits. At first, I thought it was just a pro product (also at the time only available in pharmacies in France), but then suddenly every model I’d interview would say that for their skin they swear by drinking lots of water (yes, I know YAWN! – but true) and that they take off their makeup with micellar water. 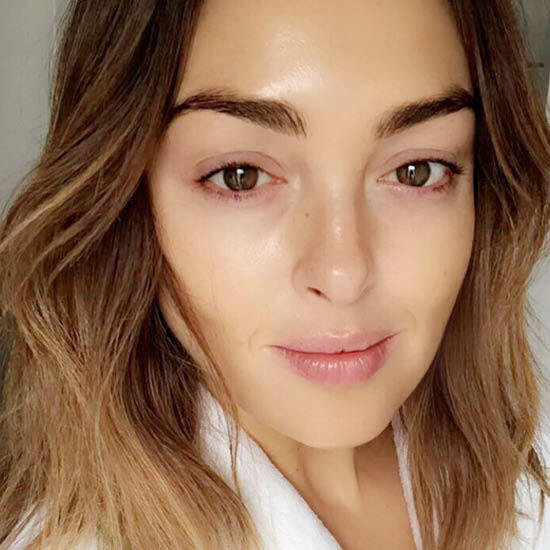 This piqued my interest – whilst most models don’t have a degree in dermatology, they are in practice the people who more than anyone have makeup applied and removed constantly (during show season, multiple times a day) and no matter how good your skin is, it will suffer from repeated on and off action. So, I ran to the closest pharmacy and bought my first bottle of micellar and I haven’t looked back. What actually is a micellar water? It looks like water, feels like water – but is so much more: It’s made up of tiny balls of cleansing oil molecules called micelles, which are suspended in soft water. Basically, the truth about oil attracting oil applies her too: the micelles latch onto impurities and sebum, drawing them out – crucially without drying out the skin. What I love is that it deletes a full face of makeup without leaving a greasy residue. It’s so easy to use: you apply it with a cotton pad and watch how it instantly dissolves makeup as you wipe it over your face (did I mention there is no need to rinse it off?). Skin feels clean, fresh and glowy – but never tight. When I wear my normal daytime makeup, the micellar water is enough and I can skip my second cleanse (you also don’t need an additional toner). When I wear heavier stubborn makeup, I’ll follow with a face wash and if you use waterproof mascara I recommend a separate eye makeup remover. I’ve tried a bunch of brands over the years and I always seem to go back to the Garnier Micellar Cleansing Water – it’s my favourite and I’ve mentioned it countless times across my social channels. I like the fact it’s not fragranced, I like the fact it’s alcohol-free, I like the fact it comes in 4 different sizes (700ml, 400ml, 125ml and a handy travel size of 100ml) and I like the friendly price, because why pay more for something that’s great?